Plan_Oceanside – ThermoBuilt Systems Inc. Inspired by the small homes that dot the costal areas of Florida’s cost, the Oceanside is a blend of space and price. At 679 square feet, the Oceanside is a big living space plan and will give you the lounging and entertaining space you’re looking for in a tiny home. 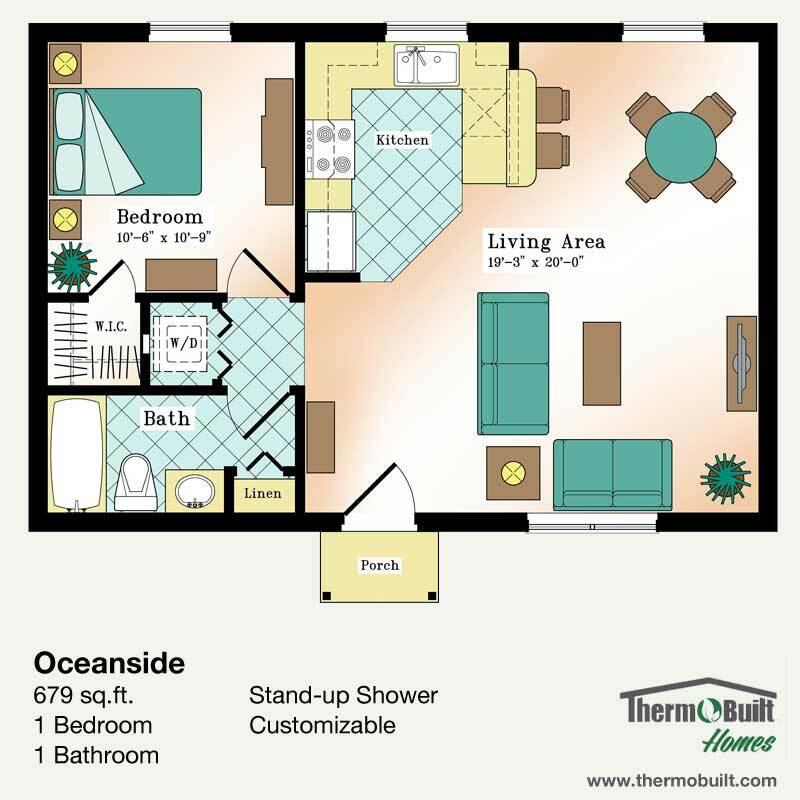 The Oceanside plan is a single bedroom plan, offering amenity’s often reserved for much larger homes, like a walk-in closet in the bedroom. A kitchen area with breakfast bar makes for great space usage. A full bathroom with linen closet, and a space for your stackable washer and dryer round out this small plan design. The Oceanside is charming, functional and easy to build.